Every time we host live webinars (and as this long list suggests, that is quite often), quite a few attendees get confused about what to do with the hashtag we provide. What is it? What does it do? How do you create one? Let me explain! A Twitter hashtag is simply a keyword phrase, spelled out without spaces, with a pound sign (#) in front of it. For example, #inboundchat and #ILoveChocolate are both hashtags. What does a hashtag do? A Twitter hashtag ties the conversations of different users into one stream, which you can find by searching the hastag in Twitter Search or by using a third-party monitoring tool such as HootSuite. So, if Twitter users who are not otherwise connected talk about the same topic using a specific hashtag, their tweets will appear in the same stream. In that way, Twitter hashtags solve a coordination issue and facilitate a conversation. Popular hashtagged words often become trending topics -- topics so many people are talking about that they are a "trend." Hashtags are great for centralizing conversations around live, in-person events or conferences, live webinars, or other marketing campaigns you're running. How do you create a hashtag? After you decide on a keyword or a phrase, search for it. 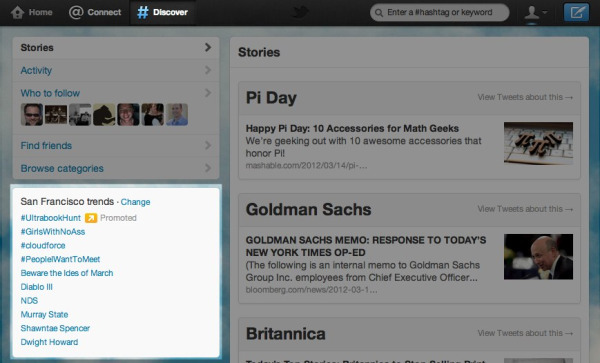 Visit Search.Twitter.com and enter your preferred hashtag in the search box. Did you get any results? Is someone else already using that hashtag for their event or campaign? If there is a lot of conversation around it already, you might want to revisit your decision and pick something that isn’t as frequently used. In that way, you will reduce the chances of people who are not a part of your target audience entering/diluting the conversation you want to take place. Hashtags can also help communicate a message to those not actively searching for them. For example, if someone you're following is tweeting about an event using a hashtag, you will still be able to see their updates in your main Twitter feed without accessing the entire hashtag conversation. In other words, you'll be able to catch a glimpse of what they're tweeting about and quickly connect the content of the tweet to the hashtag they're using. 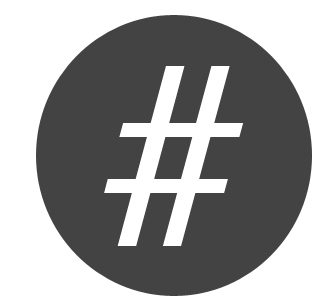 And if the hashtag reflects an industry or branded keyword that is interesting to you, you might be inclined to check out the rest of the conversation happening around that hashtag, a win for the marketer who created it! that sought to wish him a happy birthday also attracted quite a lot of critical comments. If you are just starting out, pick something neutral that simply reflects your topic or campaign. Furthermore, beware hashtag campaigns that have the potential of getting abused by users. 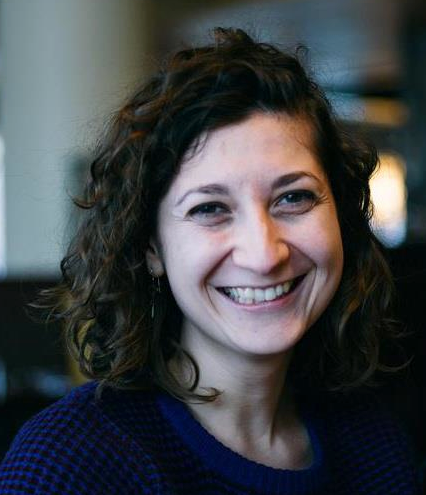 The McDonald's #McDStories hashtag campaign, which was launched as a way to share fun stories about people's experience at McDonald's, is a great example of a hashtag choice gone wrong. What McDonald's didn't foresee was people sharing negative stories about the McDonald's brand, and that's exactly what happened. Anyone who searched for "McDStories" were immediately met with thousands of tweets similar to the one below, which described awful experiences users had with McDonald's. The takeaway here is to consider the other ways people could possibly interpret your hashtag. A fast food chain, especially one that has experienced controversy and negativity toward its brand in the past, should understand that it probably has quite a few naysayers willing to speak out against their brand. A hashtag is only useful if people know about it. So to start generating conversations through your hashtag, start adding it your existing resources and channels. For instance, every time we have a webinar, we add the event hashtag to our email reminder or follow-up communication, and the presenter reminds attendees of the hashtag at the beginning of the live webinar as well. Similarly, we add the hashtag to the social media sharing links we include on landing pages. Adding one or more topic/hashtag to an unrelated tweet in an attempt to gain attention in search. Tweeting about a trending topic and posting a misleading link to something unrelated." Be sure to keep your hashtag short and easy to remember. Remember that Twitter users are only allotted 140 characters in each tweet, with or without a hashtag. By keeping the hashtag brief, you'll save your audience some room to include more commentary about your content. What are some of the lessons you've learned from using Twitter hashtags? Share them with us in the comments!